A “Class of 1965” inductee, Art Michaluk served in the Royal Canadian Air Force during World War II. He played five seasons with the Reds from 1947 to 1952. Over that time he tallied 116 points on 33 goals, 83 assists with 194 PIM in 303 games. He also was a key member of the Reds’ Calder Cup championship team in 1948. He later won the Presidents Cup with the Calgary Stampeders (WHL) in 1953. 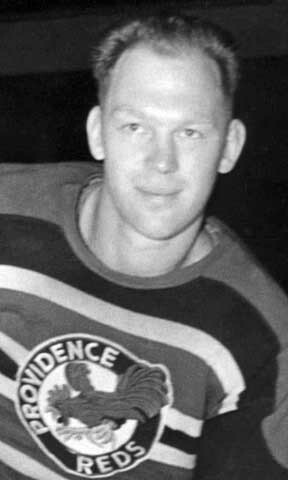 This defenseman enjoyed a brief stint with the Chicago Blackhawks of the NHL in 1947. After retirement in 1958, he served on the Calgary police force for 23 years.